Modern farmhouse has never looked better. 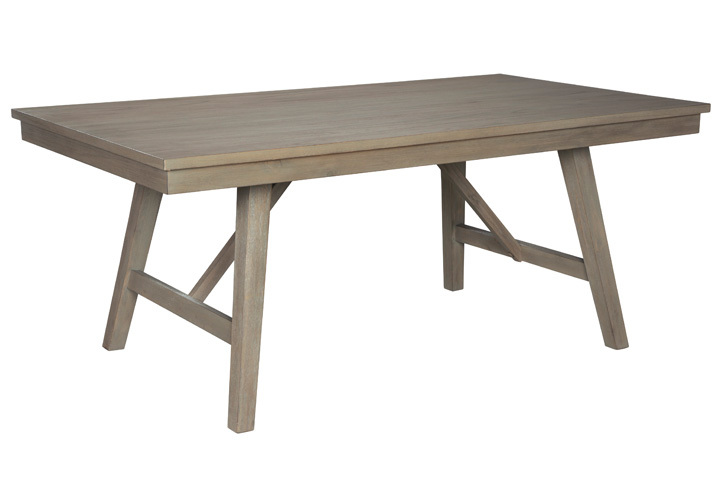 The Aldwin dining room table allures with its wire-brushed finish and country-inspired crossbuck trestle design. Equal parts cozy and chic, this dining table will have you wanting to stay in with family a little while longer.